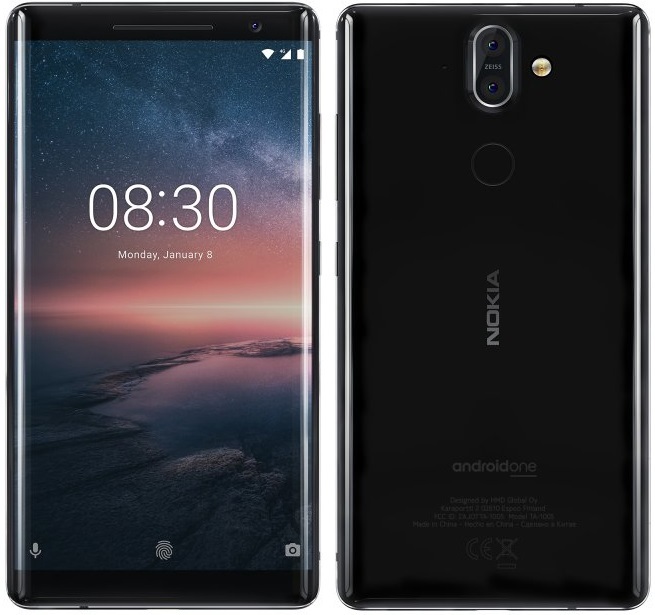 The HMD Global Finnish brand Nokia is all ready to launch its new models namely The Nokia 7 Plus, Nokia 6 (2018) and Nokia 8 Sirocco in India. HMD global is gearing up for a grand Nokia launch in India. Amidst high anticipation, Nokia is set to launch 3 new models in just under an hour. The Nokia 7 Plus, Nokia 6 (2018) and Nokia 8 Sirocco will feature in the Indian market. The wait is over, the new Nokia models are ready to take us by surprise after a musical performance. The new models namely Nokia 7 Plus, Nokia 6 (2018 version), and Nokia Sirocco will unfold a new variety for the users. Ajey Mehta, the Vice President, and Country Head India, H.M.D. Global took the stage to retrospect the company’s journey. The majestic second wind of the Finnish brand in the smartphone market last year. Pekka Rantala, the company’s Chief Marketing Officer preceded over Mehta, spoke about the Indian market, which he refers “among the top 3 countries” for the company. He also shares the positive projection of the company with e-commerce brands to formulate new strategies. The unveiling of the three new Android phones is a welcoming sight. Alongside the showstoppers, Nokia 1 and Nokia 8810 are in the showcase as well. Nokia 6 (2018) is the updated version of the model launched last year. The former was amidst a lot of hype and had some serious scope of improvements. It promises some good changes and classified the new version as a mid-range budget phone costing around Rs. 16,999 for the variant with 3GB RAM and 32GB storage. Meanwhile, it will go on sale in the country from April 6 via select retail outlets and the Nokia mobile shop. 16 MP (f/2.0, 1.0 µm), phase detection autofocus, Carl Zeiss optics, dual-LED dual-tone flash. Geo-tagging, touch focus, face detection, H.D.R. & panorama. Nokia 7 Plus sports a large bezel-less display and dual rear cameras with Zeiss optics. It a low-end luxury addition to the brand which will attract most of the audience. The pricing is competitive at Rs. 25,999, and it will be available via select retail outlets, Nokia mobile shop, and Amazon India; There will be cashback offers on the phone as well. Dual: 12 MP (f/1.75, 1.4 µm) + 12 MP (f/2.6, 1.0 µm), gyro EIS, dual pixel phase detection autofocus, 2x optical zoom, Carl Zeiss optics, dual-LED dual-tone flash. Geo-tagging, touch focus, face detection, H.D.R. & panorama. Lastly, the Nokia 8 Sirocco is the company’s debut entry to flagship competition. With an eyeballing price of Rs. 49,999 this flagship model will entertain a different class of users. The performance review is yet to come, but the first look is very promising. Dual: 12 MP (f/1.75, 1.4 µm, OIS) + 12 MP (f/2.6, 1.0 µm), dual pixel phase detection autofocus, 2x optical zoom, Carl Zeiss optics, dual-LED dual-tone flash. Geo-tagging, touch focus, face detection, H.D.R. & panorama.